Kalahandi, (locally pronounced Kalahani) is a district of Orissa in India. In 2006 the Ministry of Panchayati Raj named Kalahandi one of the country’s most backward districts (out of a total of 650). It is one of the 19 districts in Orissa currently receiving funds from the Backward Regions Grant Fund Programme (BRGFP). 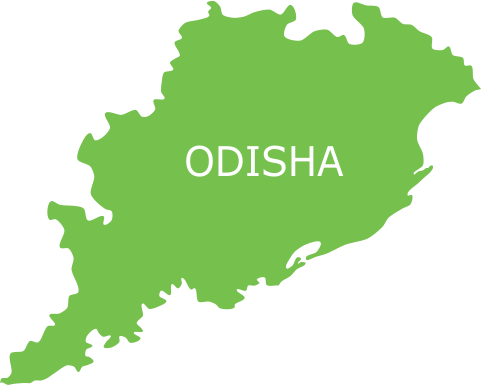 No public sector industrial investment has taken place in Kalahandi since the past 62 years. The local needs in major infrastructure in railway, highways and demand for a railway factory and Central University have not been addressed yet. In 2008, an "India Today" survey put Kalahandi among the bottom five Lok Sabha Constituency in Socio-economic and infrastructure development in India. Kalhandi faces the problem of acute poverty, most of the people here are farmers, small land holders or daily wage workers unable to access to the basic healthcare services and are also ignorant to their health needs. Kalahandi has had a history of frequent droughts, often leading to severe food and health crisis. This area suffers with marked deficiency of professional and trained doctors at the PHCs and CHCs, thus making quality healthcare out of bounds for the socio-economically marginalized population of the area. Regular medical checkups and Pathological tests are conducted by Smile like that of Haemoglobin, Dengue, and Malaria etc. For the more efficient working the SoW has been divided into number of departments working efficiently on different specialities like Gynaecology, Paediatrics, Dermatology and others. Other than this, IEC activities with the support of local bodies are conducted in small groups for women, adolescents etc., individual sessions and family meetings on health education are also done. SoW is also taking care of the ANC and PNC requirement of pregnant women. With gradual increase in the number of volunteers and community support the situation in Kalhandi is changing for the better. People are very happy with the work and see Smile Foundation as a new hope for the better world. Therefore, Smile Foundation is initiating its healthcare programmes in this area to promote awareness among people on the basic hygiene methods, further taking care of their healthcare needs. Smile Foundation has come as a ray of hope for the ignored and destitute population by launching its Smile on Wheels Programme at Bhawani Patna in Thuamul Rampur Block of Kalahandi district of Orrisa on 1st June 2015. It has partnered with Orissa Voluntary Health Association (OVHA) for the project, which is being supported by TATA Trusts. The project will complement the existing government facilities, form linkages with community health workers and help make quality healthcare accessible to the villagers. The mobile healthcare unit has been provided with a team of qualified and experienced doctor, nurse, community mobilizers and project coordinators, along with diagnostic and pathological kits, medicines, counselling and referral facilities. Pathological tests were conducted ranging from diabetes, haemoglobin and others for accurate diagnosis of the diseases and better treatment of the patient. Working as the bridge between the government and underprivileged population, Smile Foundation is referring patients for advanced treatment to the government and private hospitals. SoW has initiated various awareness programmes performing street plays, talks for better understanding of the population etc. 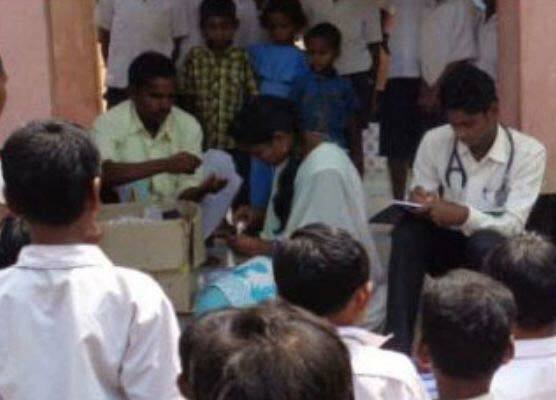 People from 42 of the remotest of villages in Kalahandi district in Orissa now have healthcare coming right at their doorsteps.